I know it has been forever and I apologize for not updating the blog more often. I really need to get back to my routine with updating the blog at least once a week. That will be my goal for the month of August and I plan to stick to it. With that being said, another goal of mine is to become debt free in 10 years and that will include my house. I know it sounds surreal, but it can really happen. I love discussing natural hair and ways to help your hair, but another love of mine is working with money. I honestly never thought I would love to deal with money since math was definitely not my favorite subject. Who would have thought, but I get excited every time it's time to pull up the spread sheet and work on our family budget. I actually look at it every day! I realized that our family needed to budget on zero based budget. 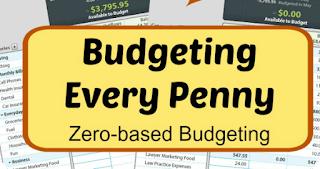 A zero based budget is a budget where every dollar is accounted for. In the past, I would pay my tithes, savings, bills, have a certain amount towards debt, and then the rest of the money would sit there until it's spent and then all of sudden you wonder what happened to all the money. I would do it that way for years and realized that there has to be another way. I did some research and fell in love with the zero based budget. When planning your monthly or biweekly budget, the plan is to get the dollar amount to zero after you have allocated where each amount will go. 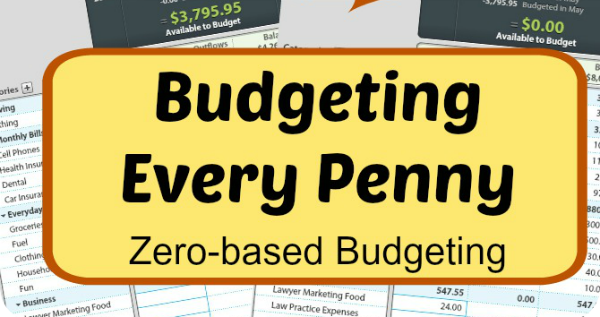 If you have 500.00 left, that means you aren't done with the budget. You need to designate where the rest of that amount will go. If you don’t, you lose the chance to make it work for you in the areas of getting out of debt, saving for an emergency, investing, or paying off the house. The goal is to tell each dollar where to go! For my budget, I like to use my excel spreadsheet to also break out my categories. I allot a certain amount for each category. Below are a list of categories that will help you get an idea on where to start. These categories are sneaky money gotchas and categories where we typically overspend. I also like to keep track of the categories on this app called Envelopes 2. It's not synced, so you will have to manually enter everything in, but it has helped me tremendously since I don't use the envelope cash system which is totally a great idea! So, let's say that you have already budgeted for your bills that are pretty much the same each month. You have paid your tithes and now you have a certain amount left and it's time to put a certain amount to each category. Dining- Dining is important, because let's face it, sometimes you just don't feel like cooking. People tend to overspend in this area, so this is a great category to have. House Maintenance- If you own a home, you know things will come up so it's good to always put a certain amount each month just in case you may have to get something for the home. For instance, new light bulbs, or filters. Anything regarding the house. Car Maintenance- Maintenance for your car is important. You know eventually you will have an oil change or have to get your brakes done. Medical- We tend to forget about this category, but every now and then you may have to pay a copay or pick up a prescription. Entertainment- Another money gotcha that will get you every time. Start putting away, so you can enjoy and not feel guilty. Vacation- Just think if you put away 50 or 100.00 for a year, you can have a nice amount to go on a small vacation to relax. So there you have it! These are just a few of my categories and I am loving it. My husband is on board and we're loving this! We are tackling this debt and also still finding time to enjoy life and not feel guilty. We also know that if we only have a certain amount in the envelope, we have to learn to be patient. Be good stewards and be blessed!!! We can do this!! Debt Free here we come! !